Babies exposed to opioids in utero may experience withdrawal symptoms at birth, but these symptoms are treatable. Typically, the babies can go home after a few days or a couple weeks. Among the troubling developments of the nation's opioid crisis: a large number of babies born prenatally exposed to opioids. On a recent reporting trip, we visited Trinity Hospital in Steubenville, Ohio, where according to the acting CEO, 1 in 5 babies are born with prenatal opioid exposure. Other hospitals report as many as 1 in 8 newborns exposed to opioids in the womb. It led us to wonder what long-term consequences there might be for the babies, some of whom experience neonatal abstinence syndrome at birth. Dr. Joshua Sharfstein, a pediatrician and professor at the Johns Hopkins Bloomberg School of Public Health, has written about the topic. He says while there's no evidence of "huge, obvious differences" in children who were exposed to opioids in the womb, there is a lot of research showing that the social environment plays a critical role in determining a child's future. What exactly is neonatal abstinence syndrome? It's a collection of symptoms that babies can have as they're essentially withdrawing from the opioids that they were exposed to in utero. Those symptoms can include tremors, increased muscle tone, excessive sucking [and] poor feeding. You treat that with an opioid that is slowly weaned off. There's a scoring sheet, and based on that scoring sheet, either the doses increase or decrease, and within a few days to a couple weeks, the baby is ready to go home. Too often, we think about this as just the baby. We need to pan out a little bit and think about the family. It's really the home they go into that's more important than the short duration of withdrawal symptoms. So you see it as more of a social problem than a chemical one? Right. When it reflects an addiction and out-of-control home life — that's the problem. The reason to put it that way is when we think of solutions, the solutions are to help the mom out of her addiction, to get her into effective treatment. When you do that, then the prospects for the child really improve. 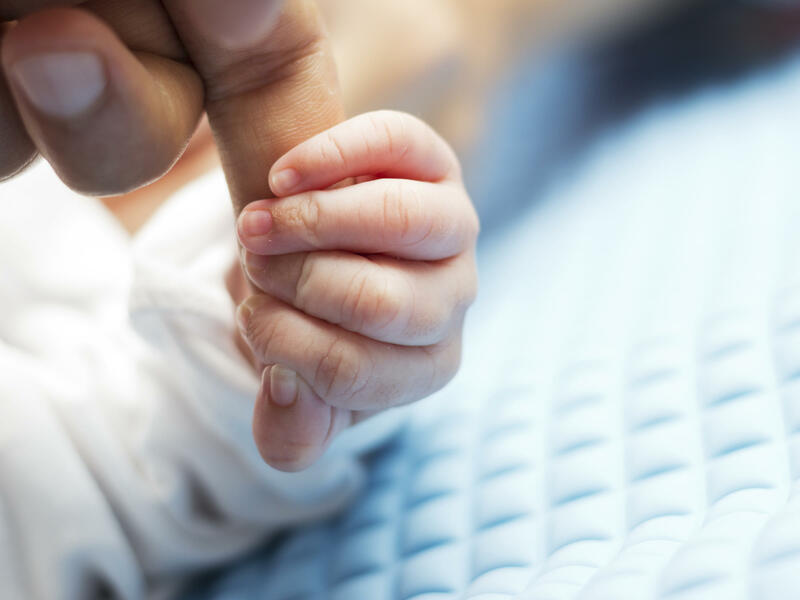 A number of babies are born with neonatal abstinence syndrome because the moms are in effective treatment — treatment that can include methadone or buprenorphine, otherwise known as Suboxone. That's what we want the moms to be doing. When those moms give birth, they are incredibly often devoted parents, and the kids really can have a great start to life. So the mother who has been using street opioids during pregnancy and the mother who is in treatment and getting methadone - if we look at their two babies as having the same problem, we're missing the whole point. That's exactly right. What you sometimes see is you'd have a mother who got methadone during pregnancy [and] was actually finally starting to put the pieces of her life back together. Then when the baby comes out a little jittery with the symptoms, she's made to feel horrible. And then what happens is she goes, "Well, I'm coming off [the methadone]." And the next thing you know, she's relapsed. Social services gets involved. She loses custody of the baby. The baby is off to a terrible start in life. That's just a terrible outcome. We have to be able to see this issue of neonatal abstinence syndrome in a little more complexity to be able to prevent those bad outcomes. You say we can learn from the "crack babies" era of the 1990s. We certainly should learn the lessons of what I would call the "crack baby panic." There were magazine covers, newspaper stories [about] what was happening to the brains of these babies. Would they be permanently scarred? The long-term evidence is it really doesn't look like there's much of anything from cocaine in terms of chemical impact on the brain. The real harm is if the baby is going home into an environment that's unsafe, there are all kinds of problems. For crack babies, people sort of saw the mom as the enemy. The baby was viewed as separate from the mom. The mom could get punished, and when that happened, the baby wound up doing worse. There is nothing more important for the baby than that the mom is healthy. Is that also true for fetal alcohol syndrome? I wouldn't say the same thing for [fetal alcohol syndrome]. I think also when it comes to smoking, there is stronger evidence of the impact on children, although it's really both [the substance and the social aspects.] It's not one or the other there. It's really both, and the evidence is stronger for those substances. Do you say of the newborn who does experience neonatal abstinence syndrome, whose body is experiencing a lack of opioids — is that baby addicted to opioids? Absolutely not. The baby is not addicted. Addiction requires continued and deliberate use despite harm. That's not the case with these babies. They're experiencing a temporary set of withdrawal symptoms. Anyone who takes opioids for a period of time, whether it's for cancer pain or you broke your leg — after a while, you're going to get tolerant to the medicine. When you come off, you'll have a few withdrawal symptoms. So a baby is more akin to a patient with who broke their leg than to someone who's actually addicted. There's really no comparison. At a Steubenville, Ohio, hospital the other week, I heard about the expense of running an obstetrics department, including this troubling fact. One newborn in 5 there is born having been exposed in the womb to opioids. That figure certainly shows how pervasive opioid abuse is among young women there of childbearing age. But what does it say about the health and developmental prospects for the babies? Well, from Dr. Joshua Sharfstein, the former health commissioner of Baltimore, comes this surprising answer. In terms of physical consequences, it may say a lot less than you think. Dr. Sharfstein, who is a pediatrician and a professor at the Johns Hopkins Bloomberg School of Public Health, joins us now. Welcome to the program. JOSHUA SHARFSTEIN: Thanks for having me. SIEGEL: So one baby is born having been exposed in utero to heroin or Oxycontin. Another is born not having been exposed. What does that say about what lies ahead for those two babies? SHARFSTEIN: Well, it's terrible news for the first baby, particularly if there is an addiction in the parents because when parents are addicted, the home life is chaotic. There's an increased risk of abuse and neglect. And all of those factors conspire against the child. It's really a very difficult start to life. SIEGEL: But you're not talking about a baby whose nervous system or whose neural development is being greatly damaged by that exposure. SHARFSTEIN: Right. It's not so much a chemical problem. It's a social problem. When it reflects an addiction, an out-of-control home life, that's the problem. And the reason to put it that way is when we think of solutions, the solutions are to help the parents, to help the mom, particularly, out of her addiction, to get her into effective treatment. And when you do that, then the prospects for the child really improve. SIEGEL: What is neonatal abstinence syndrome? SHARFSTEIN: It's a collection of symptoms that babies can have as they're withdrawing from the opioids that they were exposed to in utero. Those symptoms can include tremors, increased muscle tone, excessive sucking, poor feeding. And what you do is you treat that with an opioid that is slowly weaned off. SIEGEL: You've cited as precedent for what you say is an alarmist, exaggerated fear of prenatal exposure to opioids the widespread concern in the 1990s about crack babies, what prenatal exposure to cocaine can do to a child. What does the latest research say about babies who were exposed prenatally to cocaine? SHARFSTEIN: We certainly should learn the lessons of what I would call maybe the crack baby panic. There were magazine covers, newspaper stories. What was happening to the brains of these babies, and would they be permanently scarred? The long-term evidence of that is that it really doesn't look like there's much of anything from cocaine in terms of the chemical impact on the brain. The real harm is if the baby is going home into an environment that's unsafe. There are all kinds of problems. And the reason this is important is, for crack babies, people sort of saw the mom as the enemy, right? The baby was viewed as separate from the mom, and the mom could get punished and all sorts of things. And when that happened, the baby wound up doing worse. A better way of thinking about it is, what can we do to help the mom? There's nothing more important for the baby than that the mom is healthy. SIEGEL: It sounds to me that as someone in public health, having been a Baltimore health commissioner, you're concerned about a kind of shaming of the mother here, that that's the wrong way to go. SHARFSTEIN: Absolutely. And this is the tragedy that just absolutely drove me crazy - is, you'd have a mother who maybe got methadone during pregnancy, was actually finally starting to put the pieces of her life back together. And then when the baby comes out a little jittery with the symptoms, she's made to feel horrible. She's told it's 'cause she was on methadone. And then what happens is she goes, well, I'm coming off. And the next thing you know, where she was getting her life back together, she's relapsed, Social Services involved. She lose custody of the baby. The baby is off to a terrible start in life. That's just a terrible outcome. And we have to be able to see this issue of neonatal abstinence syndrome in a little more complexity to be able to prevent those bad outcomes. SIEGEL: And that story that you just related to me - that's not a rare hypothetical from your experience in Baltimore. SHARFSTEIN: Absolutely not. Actually, my wife is an addiction medicine doctor, so some of these people wind up her patients. SIEGEL: Well, Dr. Sharfstein, thank you very much for talking with us today. SIEGEL: That's Dr. Joshua Sharfstein, who's a pediatrician and professor at the Johns Hopkins Bloomberg School of Public Health. He used to be health commissioner of Baltimore, Md. Transcript provided by NPR, Copyright NPR.